Timeline's The Audience: Using Movement Effectively Creates Magic! 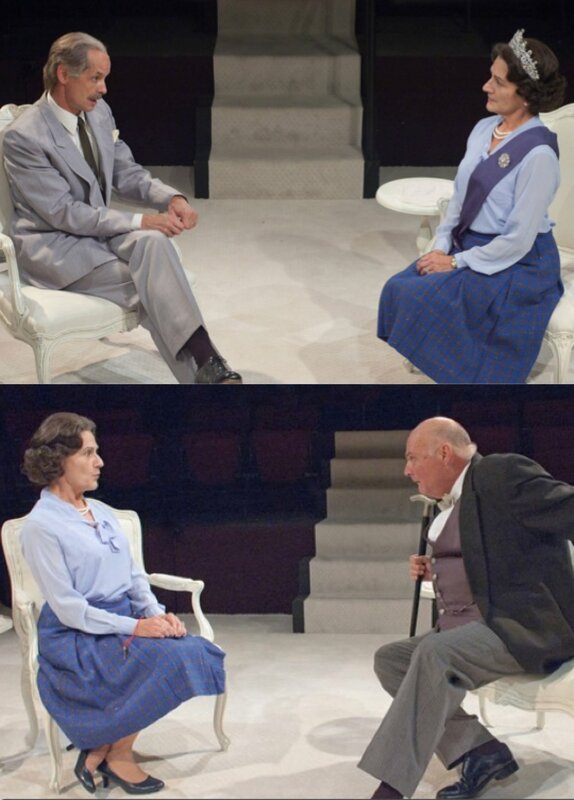 Last week, I had the pleasure of attending Timeline Theatre Company’s production of The Audience by Peter Morgan. Timeline is a company that specializes in plays dealing with history and oftentimes, it produces material that includes characters based on actual figures from the past. This most recent production centers on Queen Elizabeth II and her unique relationships with eight former Prime Ministers. I found that one extraordinary thing about this production was that just TWO ACTORS (Matt DeCaro and Mark Ulrich) played seven of the eight Prime Minister roles! From scene to scene, the two artists switched into new and completely distinct characters. In observing the work, the extent to which movement served as a key aspect in the expression of character was striking. The actors’ physical choices were so specific! Both actors imbued their characters with detailed postures, unique tempos of movement, and idiosyncratic gestures (or lack thereof). At one point, it actually seemed as though an actor grew in height between scenes/characters, simply an illusion created by a few precise acting choices (e.g. upright posture; a slower, smoother gait; a lifted head and chin; and consistent eye contact). Further, through the actors’ physical choices, it was clear that these Prime Ministers were of various ages and degrees of health during their tenures, and most importantly, had unique relationships and levels of intimacy with Queen. Seeing the overt yet fully filled and committed physical choices served as a poignant reminder that movement can be a source of inspiration for the actor as well as a clear avenue into inhabiting a role.